While I was making my bed this morning — yes, I do, every day — I heard a crash from the living room. It was sudden, it was loud and it was definitely glass. My orange CB2 hourglass shattered — glass shards and sand scattered on the hardwood floor and area rug. Rory wisely jumped on the couch for safety. Now, if I were the superstitious sort (and I think we have established here in numerous posts that I certainly am), this accident would give me pause. 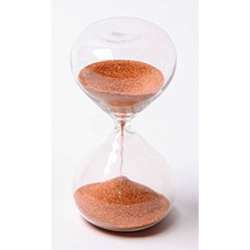 The sands in my hourglass didn’t sedately run from orb to orb — they were thrown through the air, ground into the carpet, and then swept up and thrown in the trash!! What can this possibly mean?!?! For people who celebrate Chinese New Year — or just heart Chinese food — today marks the official beginning of the Year of the Dragon. According to legend, the dragon is a symbol of good fortune, intense power and authority. But I have to wonder — what kind of dragon will 2012 be? 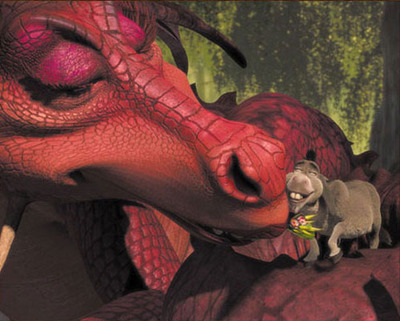 Will it be like the dragon in the first Shrek movie — ferocious and fire-breathing one moment, then a puddle of mush the next, all because of the attentions of a wise-cracking yet lovable Donkey? 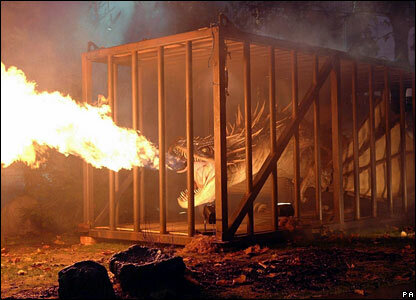 Or will 2012 be a dragon with a temperament more in keeping with the three beasts in the Tri-Wizard Tournament in Harry Potter and the Goblet of Fire? They also breathed fire and brimstone, but were initially restrained by bars and chains. When they finally broke free, they fought till the death to vanquish their enemies. Not sure I want to go up against a year like that. 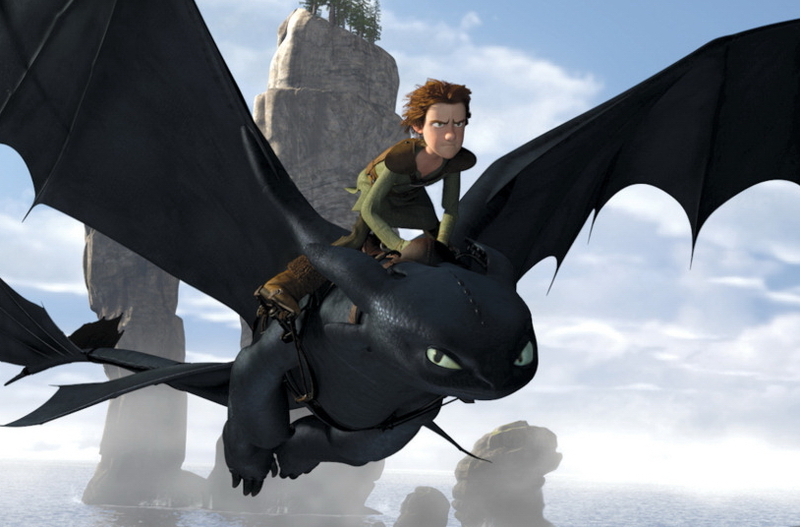 No, I would prefer the Year of the Dragon to be more like Toothless in How to Train Your Dragon. He was first misunderstood and underestimated, but man oh man — didn’t he end up being exactly the kind of dragon you wanted on your team when the going got tough. Yep. That’s the 2012 I’d like to see. Not so easy to answer these days, is it? Scientists say the constellations have shifted position in the night sky, which means our astrological signs may have moved by as much as a month. People who have thought themselves Pisces their whole lives are now Aries. Aries now Taurus. These scientists are even trying to insert a new 13th sign into the mix — a freaky one called “Ophiuchus,” the snake bearer. Astrologers say to ignore all the hoopla. Apparently Western astrology isn’t based on the constellations; it’s based on the four seasons, and they don’t change. So the 12 signs should remain as is, regardless of whether the stars have moved or not. In fact, they ding FOX News for picking up the story and confusing the facts in the first place. Me? I’m more a fan of the Chinese zodiac and their 12-year calendar of animal signs. 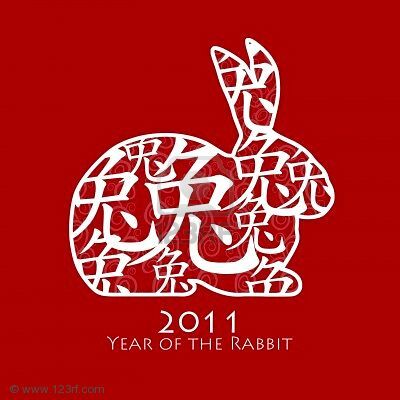 I was born in the Year of the Rabbit, a very lucky sign which bestows all kinds of positive traits on its children. Graciousness. Good manners. Sound counsel. Kindness. Sensitivity to beauty. Soft speech. Grace. Well, I got some of those.